Portland itself is not exactly a mountain biking mecca, however, the Rose City is somehow bike savvy. 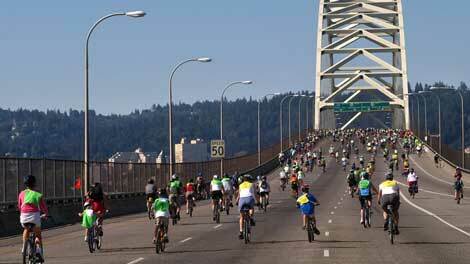 A good example to underline this is the Bridge Pedal event with all bridges are closed down for motorized traffic. And I have to admit that I am somewhat biased, as I still feel at home in Portland. Portland has the largest park in the US within the city limits, however, mountain biking is not allowed in Forest Park with the exception of some rather boring fire roads. 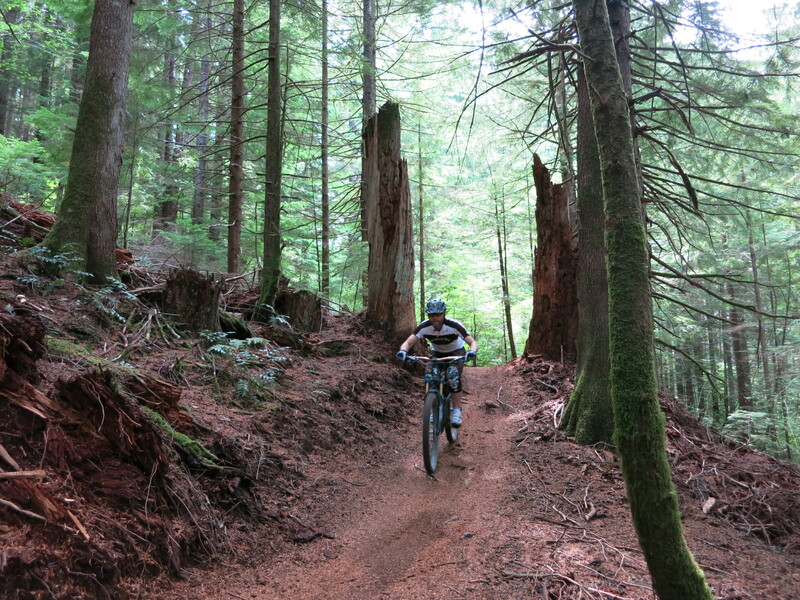 So, Portlanders have to drive minimum 30 – 90 minutes to get to the really good mountain biking spots. 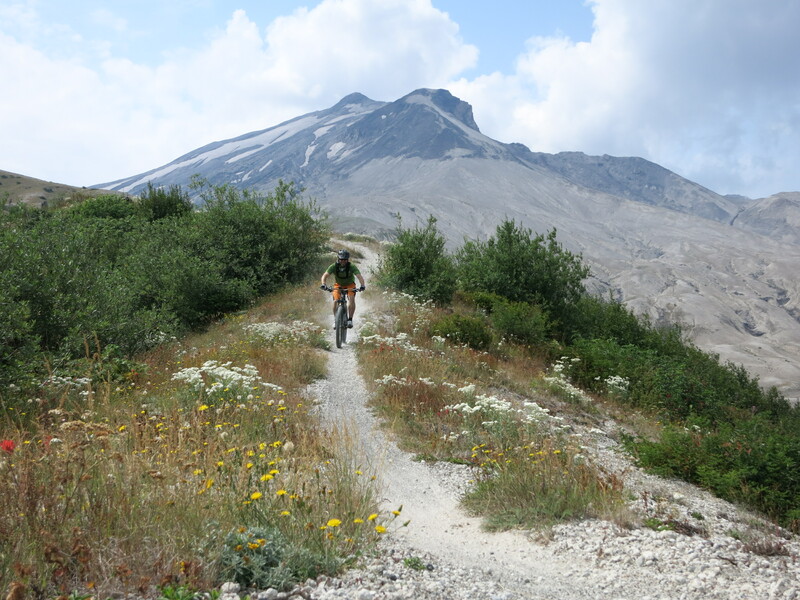 There are magnificent trails in the Cascade Range around Hood River and Mt. Hood and in the west in the Coast Range but as well northbound e.g. in the Mt. Saint Helens area. The Sandy Ridge Trail System is located in the foothills of Mt. Hood just a few miles east of Sandy. 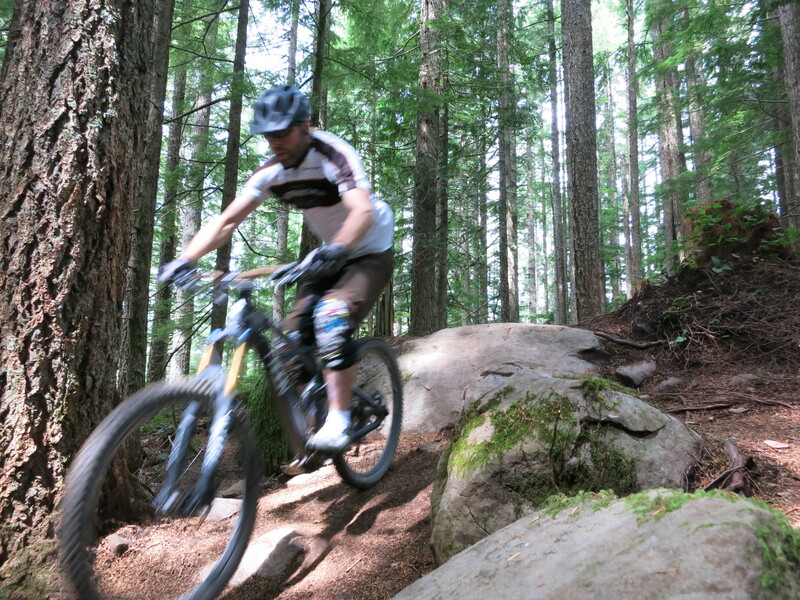 The trails are purpose built and offer lots of fun with countless berms and jumps. The uphill is an easy spinning workout on a paved road. After an elevation gain of about 500 meters there are various trail options with different skill levels, but all with great flow and fun. The “Follow the Leader” trail is rated double diamond and has quite some challenges and rough rocky sections in the first half. The second half has more flow and several bumps that are good for some airtime. 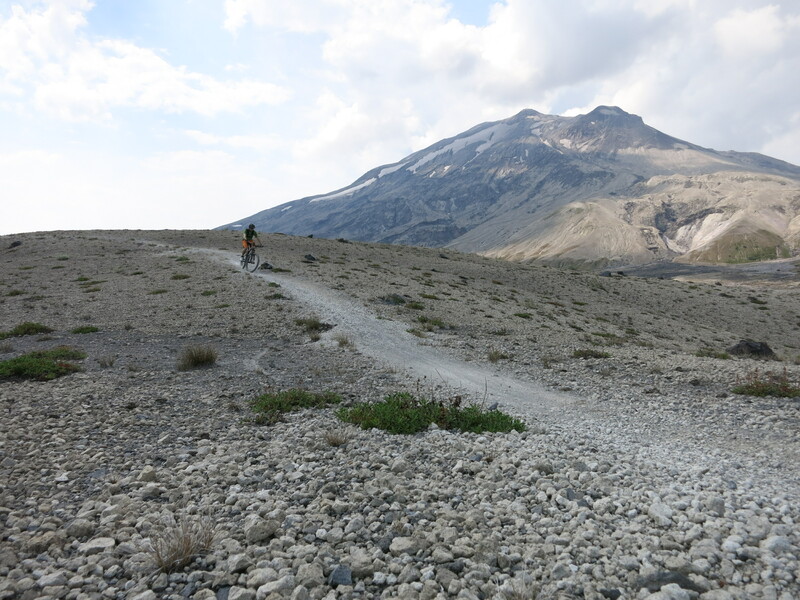 The Ape Canyon Trail up to the Plains of Abraham on Mount Saint Helens is a unique experience due to its special history. Mt. 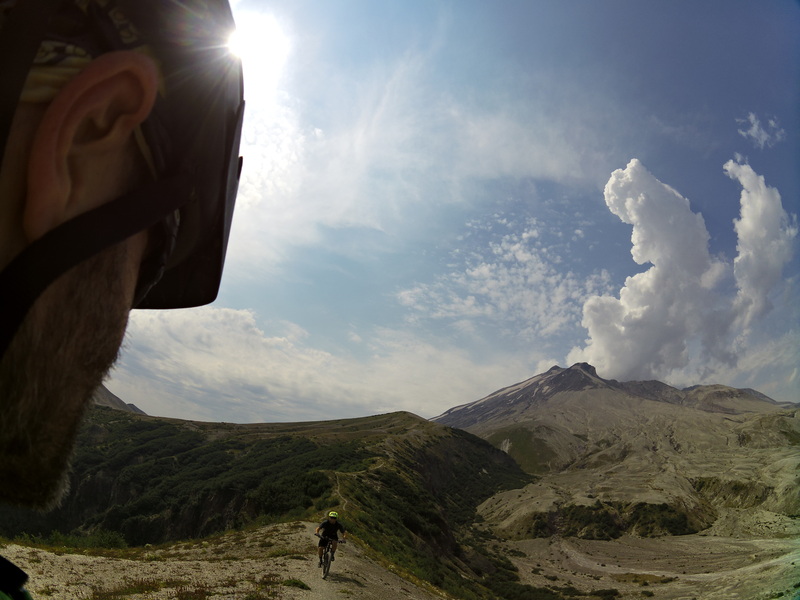 Saint Helens is the volcano that errupted in 1980 and literally blew up its top 400 meters. A part of the peak came down as pumice and ash and formed the Plains of Abraham – a lunarlike landscape. 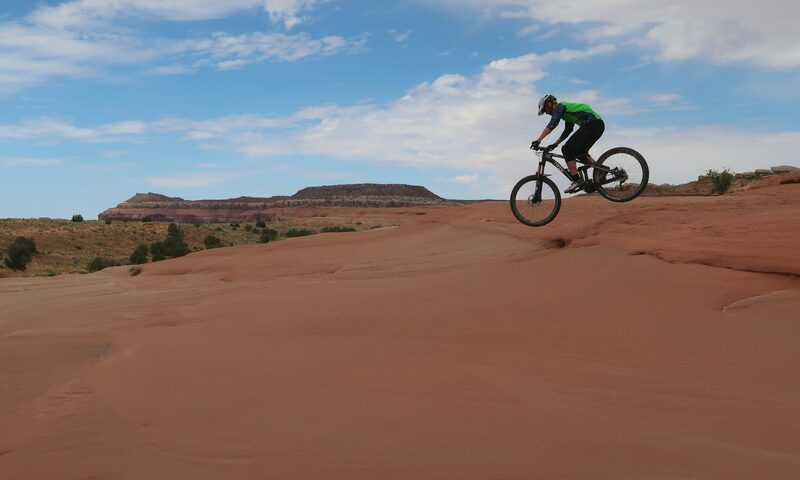 It is one of my favorite rides because of the breathtaking landscape and views and the fun surfing down the pumice and zipping down the flowy singletrack trail. From the trailhead near Lava Canyon the ride starts with strenous uphill through a stretch of old grown forest that has survived the erruption while mud and lava flows to left and right have taken away any other vegetation. At the top of the trail spectacular views are waiting and the ride across the Plains of Abraham begins. After half circling the Mt. 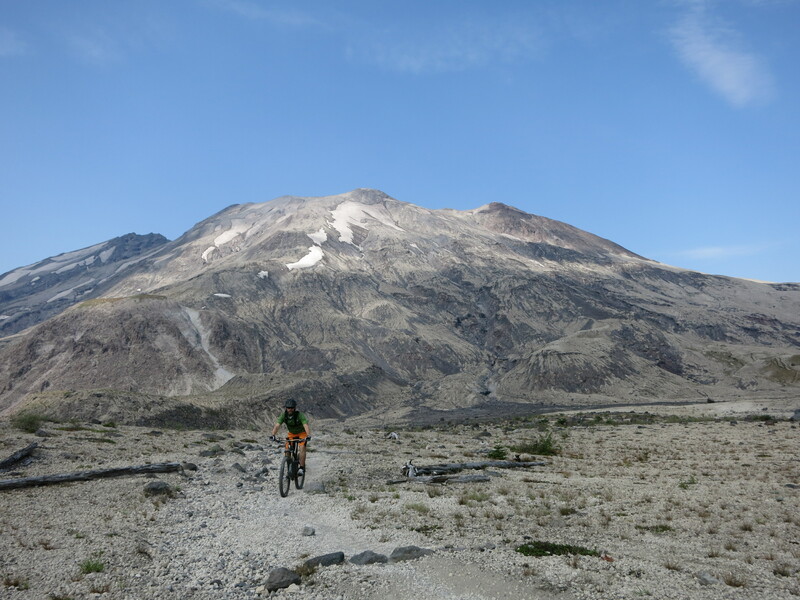 Saint Helens crater to Windy Ridge there is either the option to continue down to Smith Creek for an epic loop or to turn around and enjoy the Ape Canyon Trail as a zippy downhill.